Monthly Income Plan is one of the least preferred investment options in India. Nevertheless, Monthly Income Plan is the best alternative of fixed deposit. When it comes to investing in monthly income plan, investors usually consider it at par with Monthly Income Scheme. They feel that both investment options are same and they will get assured monthly return when they invest in monthly income plan. However, it is not the case. Recently I got a query from one retired person, he wanted to invest in monthly income plan and he was expecting assured uninterrupted monthly income from Monthly Income Plan – MIP. So, I explained him the difference between both investment options. Monthly Income Plan gives better return compare to Monthly Income Scheme of a post office. Some of the Top MIP have provided 25% annualized return too. However, it will not give you assured return every month. If you have surplus money and moderate risk taking capacity you should invest in Monthly Income plan instead of fixed deposit or MIS. In this post, let’s explore Monthly Income Plan in detail. What is Monthly Income Plan or MIP? Monthly Income Plan is debt oriented mutual funds that give income in the form of dividend payout regularly. As you have the option to get a monthly income in the form of the dividend it is known as Monthly Income Plan or MIP. Monthly Income Plans invests 70-80% of its money in the debt instruments like corporate bonds, government securities etc. The remaining 20-25% money is invested in equity market. MIP comes with two variants (1) Aggressive MIP Mutual Funds (2) Conservative MIP Mutual Funds. Aggressive MIP invests up to 30% in the equity and remaining 70% amount in the debt instruments. Aggressive MIP is High risk high return investment. It gives better return to the investors. Conservative MIP invests up to 20% in the equity and remaining 80% amount in the debt instruments. Conservative MIP is suitable for low risk taking investor. Conservative MIP gives less return compare to aggressive MIP mutual funds. In Monthly Income Plan Investors has two options. (1) MIP with Dividend Option (2) MIP with Growth Option. MIP’s with dividend options gives you regular income regularly in form of dividend. You need to select dividend payout frequency monthly, quarterly, half yearly or yearly at the time of investment. These type of MIP’s preferable if you are looking for regular income. MIP’s with Growth options gives you capital appreciation. Your capital investment will be growing if you select growth option. You will get benefit of this appreciation when you redeem your funds in future. If you don’t have requirement of regular income you should go ahead with growth option. How MIP is different from other fixed investment options? A comparison of MIP with other fixed return options is given below for your better understanding. Unfixed Monthly Returns – MIP provides very good returns to the investor. However, returns from MIP is not assured. 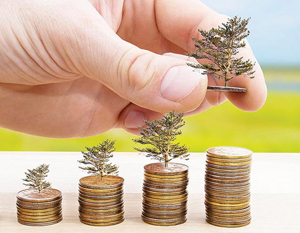 The returns generated by MIP is based on the performance of the fund. If fund performance is good the return generated by the fund is high, whereas if fund performance is poor MIP may end up giving bad returns. Mis-selling – MIP is more prone to mis-selling as high commission is paid for selling MIP to the investors. So, you need to be careful while selecting MIP for investment. MIP returns depend on Interest rates & Stock market – The returns generated by MIP is based on stock market condition and prevailing interest rates. As a majority of investment done by MIP is in debt component any change in interest rate by the government directly impacts the performance of MIP. Tax Treatment – Tax treatment to monthly income plans depends upon time when you exit from this scheme. Taxes applicable on MIP are divided in short term capital gain tax and long term capital gain tax. Well, as per discussion above you must have understood the benefits and drawbacks of the Monthly Income plan (MIP’s). MIP is a boon for the investor who wants to generate regular income for meeting some fixed expenses. Let’s take a look at practical examples of the same. Pocket Money for children – Giving fixed pocket money to children is a regular expense. One option of fulfilling is expense is directly paying money from your income. However, if you are a smart investor you can invest in monthly income plan to generate regular monthly income for paying pocket money to your children. By adopting this way you can easily keep track of child expenses. Yearly Vacation – Taking a break and enjoying a yearly vacation is sometimes necessary. You can plan your yearly vacation without hampering your regular budget by making an investment in right monthly income plans. Regular Monthly income after retirement – If you are retired person you can generate monthly income by investing your money in monthly income plans. As per me, MIP is better option compare to MIS and fixed deposit. You can enjoy financially free retired life by investing in MIP’s. MIP is one of the best investment options that helps you in generating regular income and fulfilling your regular expenses. If you are planning to invest your money in fixed deposit I advise you to look at Monthly Income Plans before taking any investment decision.